Tia Blanco is the latest athlete tapped by Sony to join their elite team of action sports athletes. Tia will exclusively use Sony Action Cams for all POV shooting. Tia joins athletes like Tony Hawk, Danny Davis, Robbie Madison and Nigel Sylvester as the face of women’s surfing for the brand. Look for great images and content of Tia on the Action Cam social channels. Jeb Corliss will be joining the hosts of Right This Minute next week as guest co-host on the internationally syndicated television show. 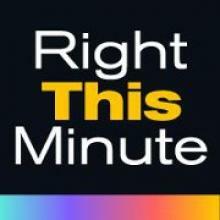 Right This Minute is a news show that features the best viral videos you want to share. Hosted by a round table of personalities, RTM can be seen across the USA and in some Asian markets. The episode will film on 9/15 and along with Jeb Corliss as co-host, Roberta Mancino will premiere her crocodile in Mexico edit produces by Tsu.co. Check local listings for times that RTM airs in your market. You are currently browsing the rprt: talent management, pr/marketing, events and branding blog archives for September, 2015.